A His Queen, Her King split heart necklace, with the option of personalisation on the reverse of each half. 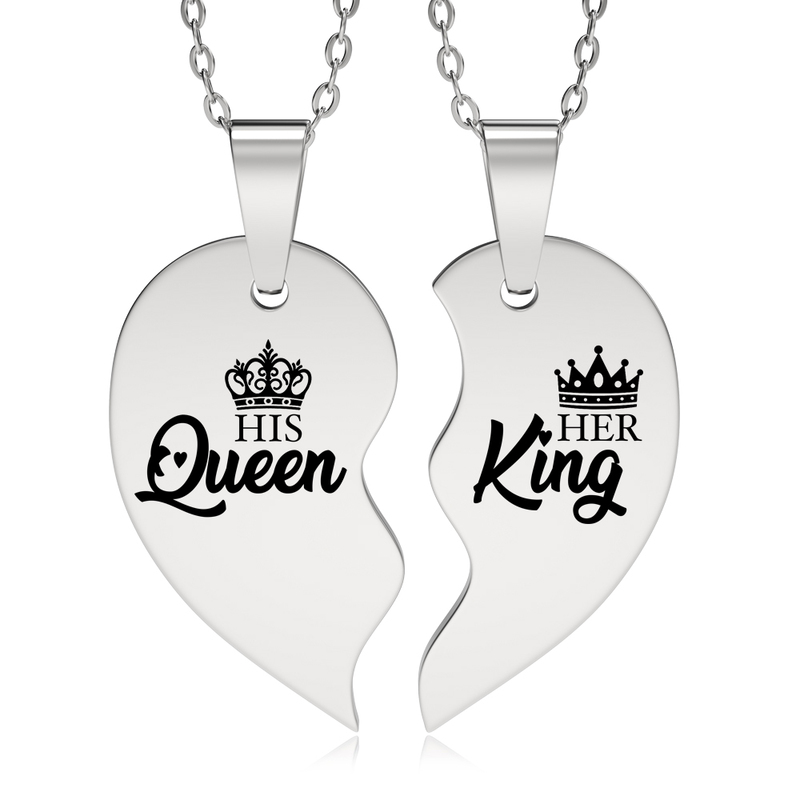 The front of both halves of the necklace features our own unique design, one-half reads 'His Queen' with a Queen's crown, the other half reads 'Her King' with a King's Crown. The necklace comes ready split, one half for you, and the other for someone special. 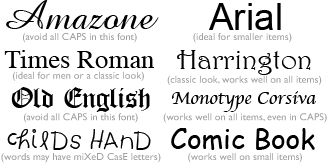 The complete piece measures 30 x 32mm. Made from stainless steel, the necklace will last a lifetime, and will not tarnish or rust. This gorgeous unique necklace makes a great present for men and women to share and comes complete with an 18-inch chain for both sides.